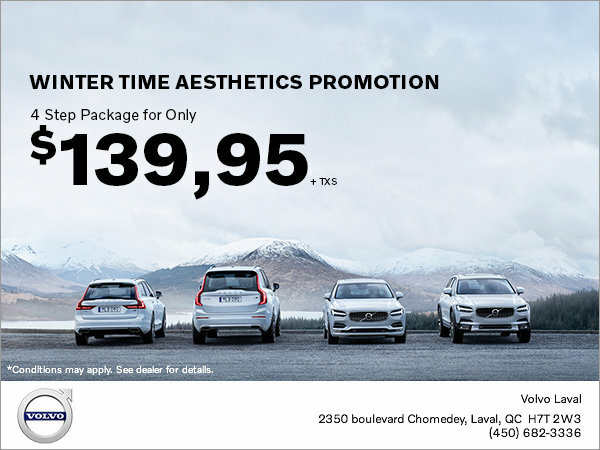 Protect your Volvo from Winter's elements for only $139,95 plus taxes! With this 4-step detailed package, you are sure to keep your Volvo vehicle safe from the season's harsh climate, including salt and calcium build up, dirt, rain, and more. It is recommended to clean the underbody of your Volvo once every season in order to remove calcium and dirt build up under your vehicle. This includes the cleaning and shining of your wheels.